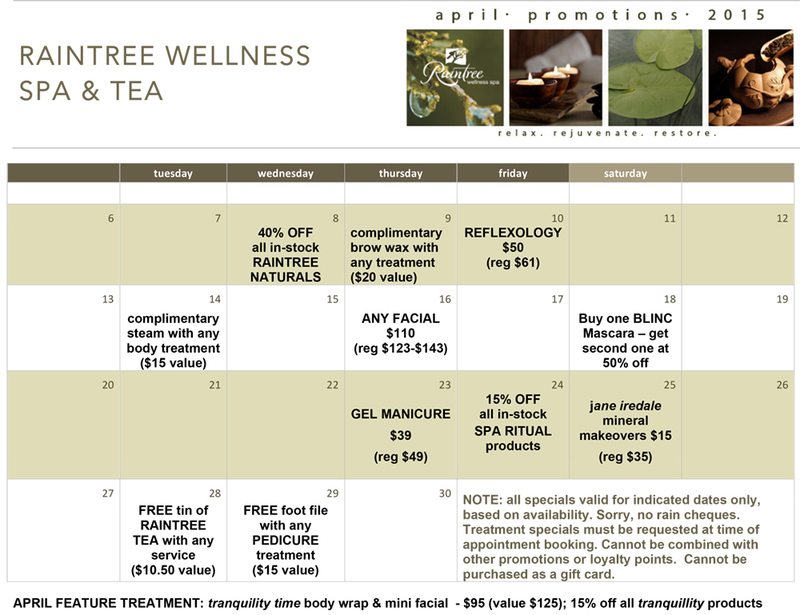 Beginning April 1st, we’re offering monthly pop-up promotions to help you stretch your Raintree spa dollars. Remember to book early, as specials are valid for the indicated dates only and are based on availability. Feel free to call ahead to reserve product purchases (in-stock only) for pick up on promotion day. We look forward to seeing you soon!